ASTANA -- The Kazakhstan Central Concert Hall in Astana Thursday (March 8) hosted a concert dedicated to International Women's Day, Kazinform reported. International Women's Day is celebrated March 8 around the world. President Nursultan Nazarbayev, who attended the event, addressed the audience, underlining the role of women in raising a new, educated generation for the country's future. 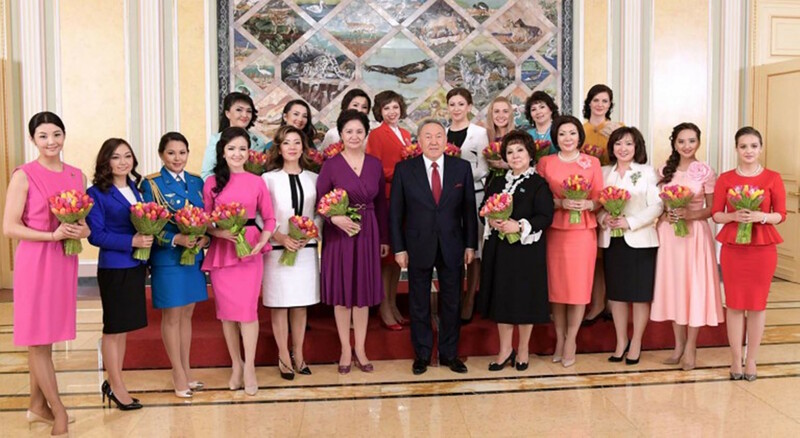 "Dear women, March 8 is a holiday to honour women's devotion, love, commitment to family values and selfless pursuit of the ideals of women's beauty that saves our fragile world from destruction," Nazarbayev said.